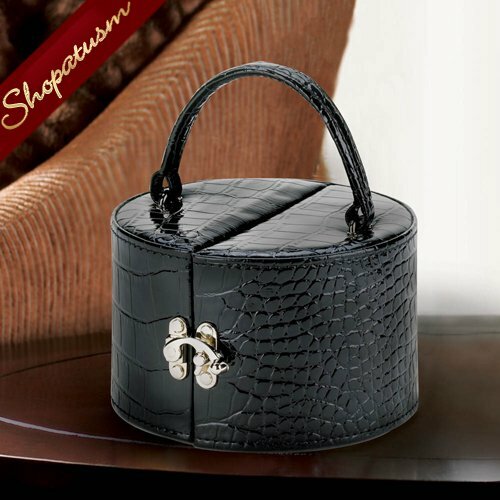 This is for a Stylish Glossy Black Faux Snakeskin Jewelry Box from Shopatusm. 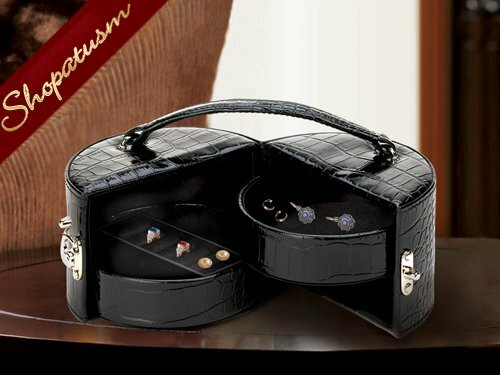 Make a statement with this stylish faux leather jewelry box. Finished in a glossy snakeskin pattern, it features a large carrying handle for easy transport, a heavyweight silver metal latch for added style, and will hold your favorite jewelry when you're at home or on the go. Item Weight: 0.8 lb. 5 5/8" x 5 5/8" x 6" high. PVC and inner felt lining.